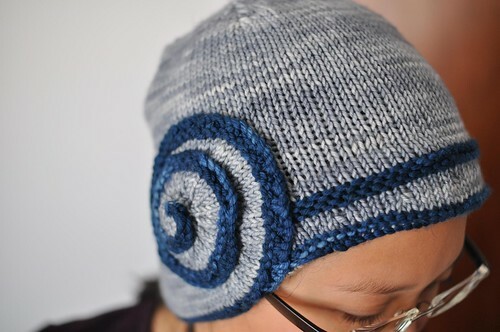 I’ve got a wee little pattern release for you! 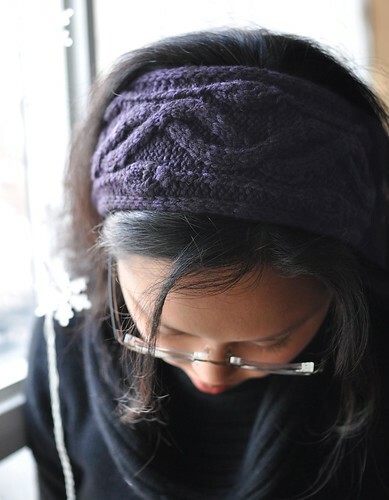 Geary Avenue is a quick to knit earband that uses just a little bit of yarn. 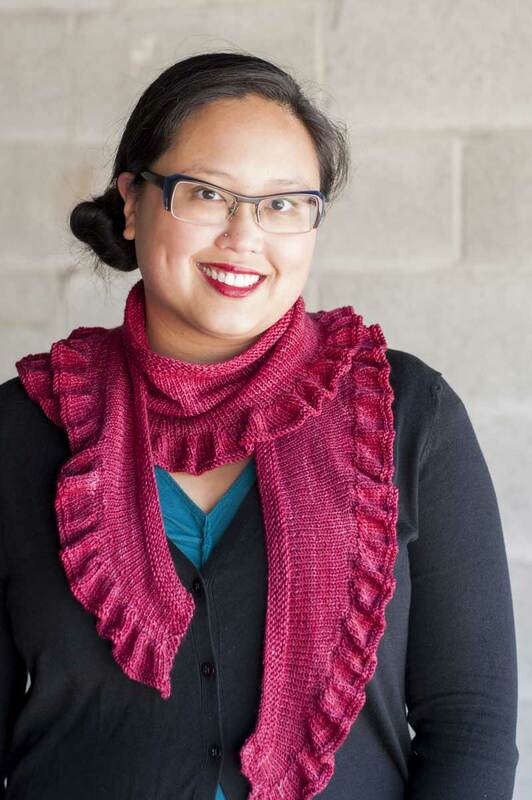 An interesting cable pattern makes it fun to knit, as well as super cozy and warm. Technical Editing by Alexandra Virgiel. One; 3.75” / 9.5cm at widest point, 19” / 48.5cm long. Band will stretch with wear, so don’t make it too big! However, length can be adjusted if necessary. Worsted or aran weight yarn, 90 yds / 82m. Shown in Dream in Color Classy (100% superwash merino wool; 250 yds / 229m per 4 oz / 115g skein), color: Purple Rain, less than 1/2 skein. 3-page PDF pattern includes photos, abbreviations, chart and row-by-directions. Measurements given in imperial and metric systems. 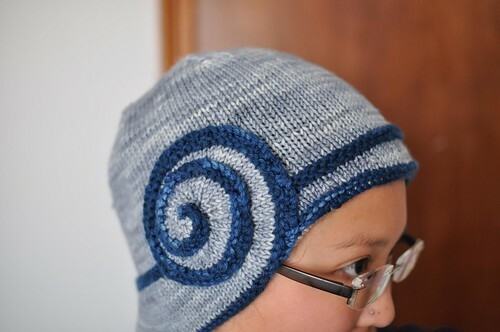 Available through Ravelry, payment through Paypal (no accounts required). I don’t often knit from other patterns, just because I’m so busy trying to work on my own! 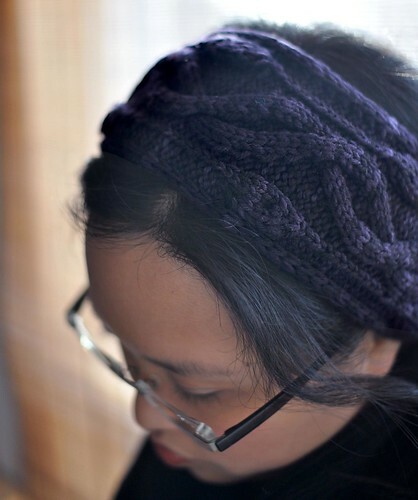 But I needed a new hat for the random cold snaps we’ve been having amidst weirdly mild weather, so when I saw this hat in the latest issue of knitty I grabbed a lovely single skein and got to it! 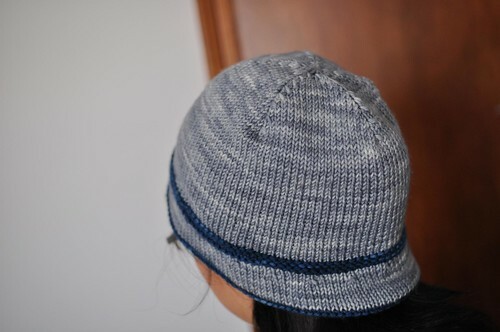 I found the brim a bit roll-y and insubstantial as written, so I picked up stitches on the inside with a smaller needle and knit a bit of a brim lining. It’s super cozy, and while I normally have a really hard time actually wearing hats I think this one will get a lot of use. 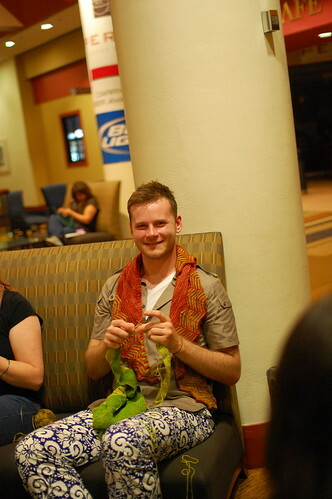 A couple of years ago when I went to TNNA in Columbus, I met Stephen West for the first time. Impressions? Sweet as anything, tall, has some wild trousers! 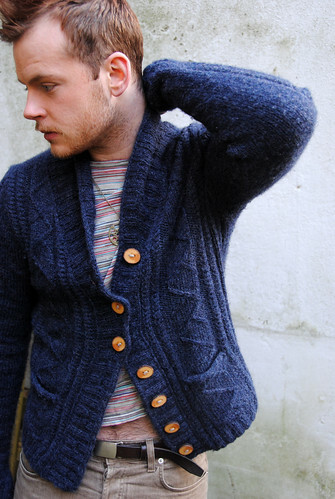 I was exhibiting some of my pieces in Ysolda’s booth that year, among them the Carter Cardigan. Stephen tried on my original, waist shaping and all, and of course looked smashing (as he always does). Photographic evidence! 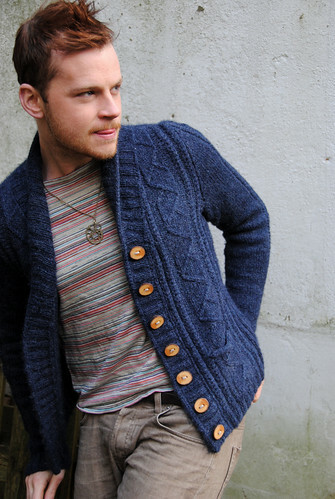 Stephen knit up another for himself (proooobably omitting the waist shaping) and he’s awesome enough to let me share some of his photos with you. 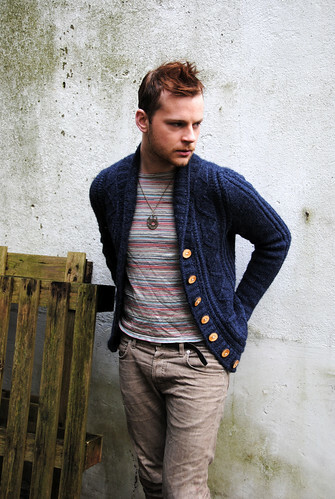 Here’s his Ravelry project page.